It maintains the balance and the natural defences of the skin through an intensive emollient and soothing action. 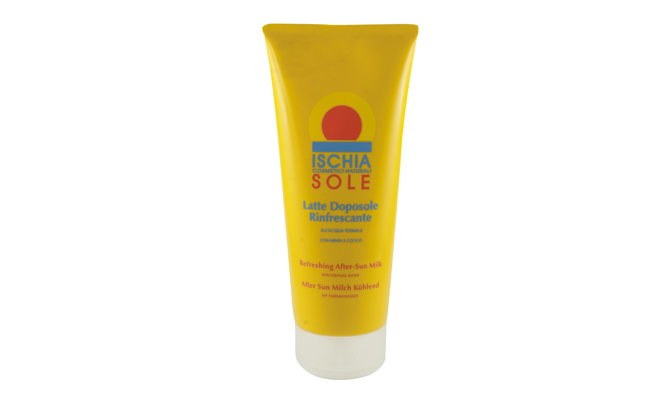 It ensures a soothing, hydrating action as an after-sun lotion, as well as being very effective in prolonging the sun-tan. The texture is light, the product is easily absorbed and it leaves the skin unbelievably moisturised, fresh, soft and pleasantly perfumed. Recommended for all types of skin. Active elements: Menthyl Lactate and Chinese Mint. Apply the product to the body after exposure to the sun, repeating the application in the case of very dry and dehydrated skin. Recommended for all who want to keep their skin velvety and moisturised, prolonging the sun-tan effect.